Marjorie has shown great wisdom and has worn white trousers out to visit the piggy wiggy. 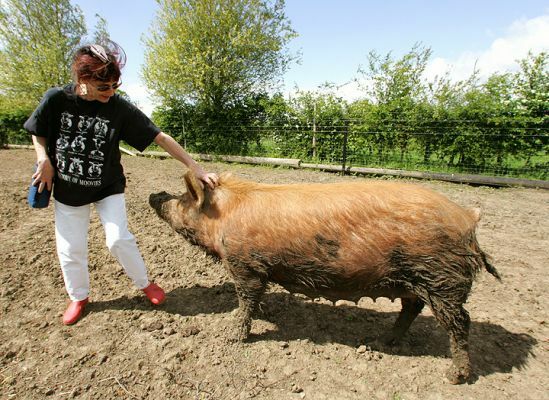 Naturally, the pig's reaction was to coat her nose with mud and then want to show Marjorie how much she is loved. Kissy, kissy . . .